We are delighted to announce a new Haven Pharmacy has officially opened at Lower Branch Road, Tramore, Co Waterford. 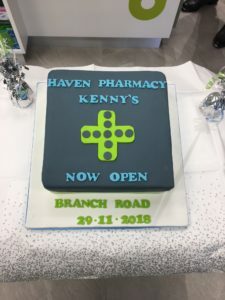 After 10 years serving the local community, Haven Pharmacy Kenny’s success story continues as they open a second Haven Pharmacy in Tramore. Paul Kenny M.P.S.I is well known in the community as he also celebrates his 10 year anniversary in his pharmacy in Elm Park. The new store, which is ideally located beside the Family Medical Centre on Lower Branch Road, offers a diverse range of products and services along with a warm welcome from familiar faces in the local community. 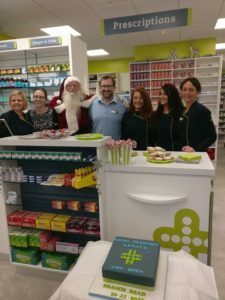 Celebrations were held on Thursday 29th November where the local radio station WLRFM broadcasted live from Kenny’s Pharmacy where there was great discounts, prizes, giveaways and festive treats for all! 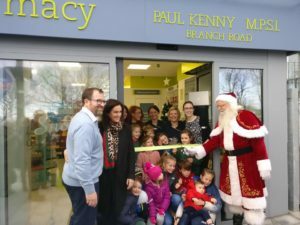 A very special guest arrived to officially open the store… Santa took time out of his busy schedule to surprise all the children and families who came to support Paul & his new staff. 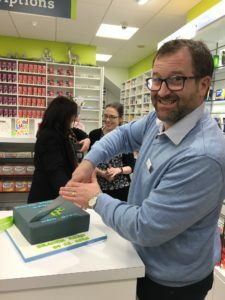 We wish Paul the very best of luck for a successful future with the Haven Pharmacy group!